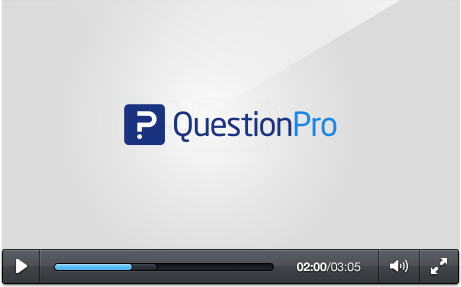 Effortlessly Develop And Deliver Your Own Questionnaires With QuestionPro. Join Now! You can easily create questionnaires on your smartphone or tablets, for QuestionPro is fully optimized for mobile environments, allowing you to develop surveys on virtually any platform. 1. A Blank Template: Starting from scratch allows you to simply build a survey from the ground up. Select from 30 question types and allows for the modification of the survey's CSS. 2. Uploading: If there's a list of questions that you already have and would like to use, you're able to easily upload them into the editor. 3. The Template Library: The QuestionPro library has over 100 different ready made surveys that cover a wide variety of topics, including customer satisfaction and human resources. You can view the template library here, which contains surveys about customer service feedback. If you have a brick and mortar store, you can conduct a survey to discover what aspects your customers like and dislike. 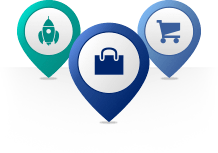 This can include aspects relating to your store's appearance, location, product availability, cleanliness and employee knowledge. When a customer actually purchases a specific product, it's a great idea to gain some feedback about the product itself. Was it as described? How was the quality? Was unpackaging the product easy? What actually motivated the customer to purchase the product? Was it the pricing? Or maybe the friendliness and help of the store associate? Certain product reviews? One of the most important aspects is customer service. Knowing how customers are being treated during the process will help you determine if any changes in the customer service process need to be implemented. Step 3: Select the method you need to create your questionnaire. You can start by choosing a template from the template library, importing a existing survey or simply by starting from scratch. How are you able to create a survey? Is there a large template library with over 100 ready made surveys that you can choose from for editing and customization? If you have survey questions that you'd like to import, do you have the option to easily import them into the editor? What if you simply need to start from blank template? Is there a bank of over 30 question types to choose from that include simple open ended to advanced sliders with multimedia? Are there premade themes that you can select from to change the look and feel of your survey? When you choose QuestionPro, you'll have all of these options plus much more. Once your survey is created, what kind of delivery options do you have available? Are you able to easily upload a list of email addresses into interface for easy distribution? If you need demographic specific respondents, can you purchase a sample from the survey creator? What if you just need your questionnaire embedded into your website, or posted to your social media posts like Facebook or Twitter? How about if you'd like to create your own QR code that links right to your survey? You can do everything here in QuestionPro, and a lot more! When your responses start coming in, what things are you able to do with them? Can you see a real-time summary of your survey results that include the number of people that completed your survey and the time it took them to finish? Do you have professional data visualization tools available to you that allow you to create word clouds and infographics? Can you filter your data or create cross tabs with large amounts of responses? 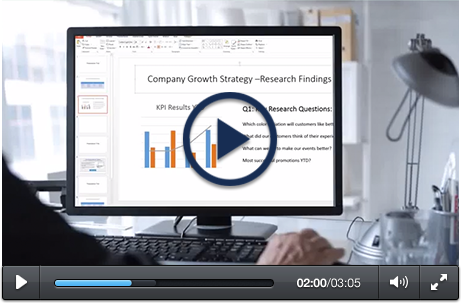 Are you able to export your results so that they can be imported for advanced analysis in Excel or SPSS, or just simply backed up to the cloud? 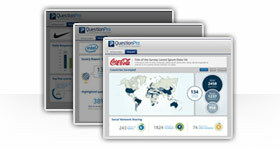 QuestionPro offers all of these reporting and analysis features, plus many more! To start creating surveys and gathering customer service feedback, all you need is your own account. You can sign up within a matter of seconds, for free. You can choose from three different ways to start your survey, that include starting from a blank template, importing questions that you already have or choosing a ready made survey from the template library. 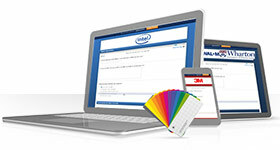 Select various customization options to personalize your survey to fit your needs. For distribution of your questionnaires, you have several options. 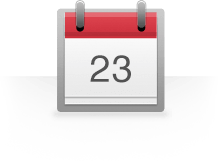 You can start by importing a list of email addresses you already have into the interface. 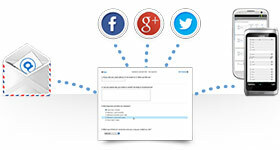 You also have the option of embedding your survey to your website, or posting to your social media networks. Easily create QR codes that link directly to your questionnaire. If you know you'll be working offline, you can download the QuestionPro app before hand, so that you can administer surveys in environments with limited internet access, like at a trade show. View your summary results in real-time that include the number of respondents that completed your survey and the average time it took to complete. There are several data visualization tools available to you, that allow you to create infographics and word clouds. Filter your data and create cross tabs with large amounts of responses for easy analysis. You can export your data for advanced analysis in Excel or SPSS. If you need your results backed up to the cloud, you can sync your account to Google Drive or Dropbox.